Lately I have had a love/hate relationship with A.T. Cross Pens, well more specifically their pencils. I have owned a Black Classic Pencil and Pen for more than a decade, but only in the last several years have I picked them up again to use on a regular basis. Unfortunately, I have had difficulties with the pencil – my favorite mode of everyday writing and had to return it to Cross twice in less than six months. The last time I sent my pencil back I began surfing the net looking to find a similar pencil to replace it with, yet always in the back of my mind was the feel of the pencil in my hand and the perks of a lifetime guarantee. Needless to say I found a few mechanical pencils that were working in the interim, but it just wasn’t the same. Today I returned to work after a short holiday break to find a Christmas present waiting in my chair. 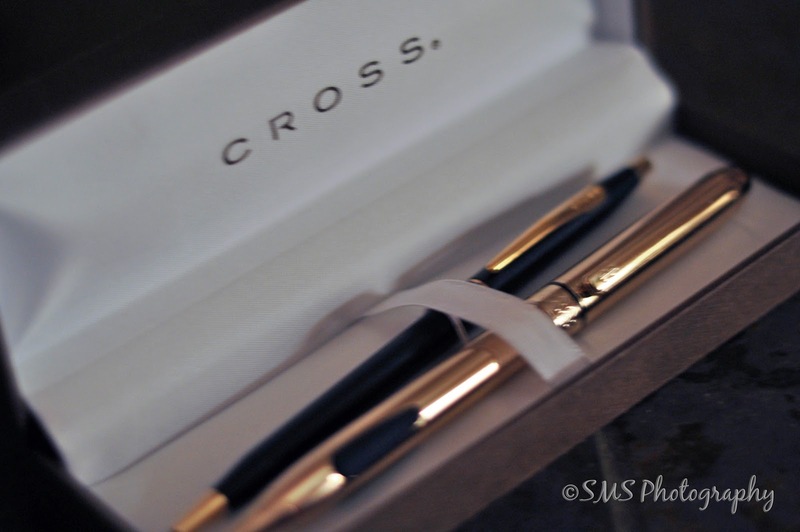 When I opened the package I found the nice gold Cross pencil pictured in the foreground above! Wow, what a surprise. This was a totally unexpected gift, and one that I am truly grateful to have received. When I arrived home this evening what do you think was waiting for me – old faithful, or so I thought. Inside the package instead was a replacement called the “Switch-it”. This is a pen and pencil in one according to the directions included in the package. Reading the instructions it seems a little more complicated than I would like, so the gratitude for the new pencil becomes even greater. I am truly grateful for the many friendships I have and particularly for those that know me well enough to pick out thoughtful and most important useful gifts. Thanks for stopping by, and enjoy your day/evening!